POWER CORD IEC 60320 C-13, 8FT.-2IN. Description: IEC 60320 C-13 POWER SUPPLY CORD, 13 AMPERE-250 VOLT (UL/CSA), 2 POLE-3 WIRE GROUNDING (2P+E), 16/3 AWG, SJTO, 105�C, 2.5 METERS (8FT.-2IN.) (98") LONG. BLACK. 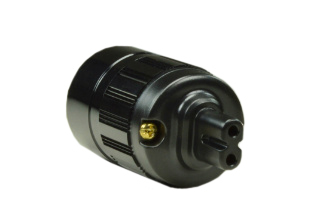 Note: UL/CSA approved 13 Amp., 15 Amp. 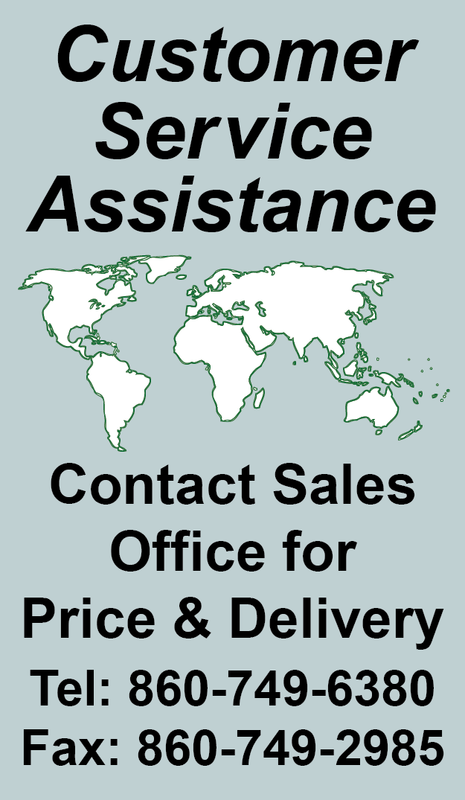 C-14 to C-13 power cords and Universal approved (UL, CSA, VDE, CCC) 10 Amp. C-14 to C-13 power cords are available in various lengths. 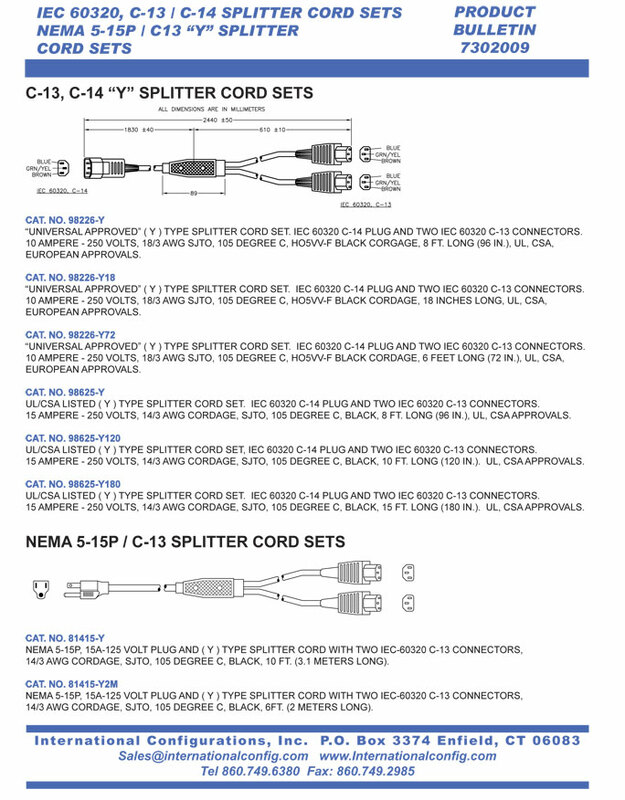 C-14 to C-13 Y-Splitter Cords along with C-14, C-13, C-20, C-19 Power Cords, Power Strips, Plugs, Connectors and Adapters are also listed below in related products. IEC 60320 C-13 POWER SUPPLY CORD, 13 AMPERE-250 VOLT (UL/CSA), 16/3 AWG, SJTO, 105�C, 2.5 METERS (8FT.-2IN.) (98") LONG. BLACK. IEC 60320 C-13 POWER SUPPLY CORD, 13 AMPERE-250 VOLT (UL/CSA), 16/3 AWG, SJTO, 105�C, 2.0 METERS (6FT.-7IN.) (79") LONG. BLACK. IEC 60320 C-13 POWER SUPPLY CORD, 13 AMPERE-250 VOLT, 16/3 AWG, SJTO, 105�C, 1.0 METERS (3FT.-3IN.) (39") LONG. BLACK. IEC 60320 C-14 POWER SUPPLY CORD, 13 AMPERE-250 VOLT (UL/CSA), 16/3 AWG, SJTO, 105�C, 2.5 METERS (8FT.-2IN.) (98") LONG. BLACK. IEC 60320 C-14 POWER SUPPLY CORD, 13 AMPERE-250 VOLT (UL/CSA), 16/3 AWG, SJTO, 105�C, 2.0 METERS (6FT.-7IN.) (79") LONG. BLACK. IEC 60320 C-14 POWER SUPPLY CORD, 13 AMPERE-250 VOLT (UL/CSA), 16/3 AWG, SJTO, 105�C, 1.0 METERS (3FT.-3IN.) (39") LONG. BLACK. IEC 60320 C-14, C-13 POWER CORD, 13 AMPERE-250 VOLT (UL/CSA), 16/3 AWG, SJTO, 105�C, 2.5 METERS (8FT.-2IN.) (98") LONG. BLACK. IEC 60320 C-14, C-13 POWER CORD, 13 AMPERE-250 VOLT (UL/CSA), 16/3 AWG, SJTO, 105�C, 2.0 METERS (6FT.-7IN.) (79") LONG. BLACK. IEC 60320 C-14, C-13 POWER CORD, 13 AMPERE-250 VOLT (UL/CSA), 16/3 AWG, SJTO, 105�C, 1.0 METERS (3FT.-3IN.) (39") LONG. BLACK. IEC 60320 C-14, C-13 POWER CORD, 15 AMPERE-250 VOLT (UL/CSA), 14/3 AWG, SJTO, 105�C, 0.3 METERS (1 FOOT) (12") LONG. BLACK. IEC 60320 C-14, C-13 POWER CORD, 15 AMPERE-250 VOLT (UL/CSA), 14/3 AWG, SJTO, 105�C, 0.46 METERS (1FT.-6IN.) (18") LONG. BLACK. IEC 60320 C-14, C-13 POWER CORD, 15 AMPERE-250 VOLT (UL/CSA), 14/3 AWG, SJTO, 105�C, 0.6 METERS (2 FEET) (24") LONG. BLACK. IEC 60320 C-14, C-13 POWER CORD, 15 AMPERE-250 VOLT (UL/CSA), 14/3 AWG, SJTO, 105�C, 0.76 METERS (2FT.-6IN.) (30") LONG. BLACK. IEC 60320 C-14, C-13 POWER CORD, 15 AMPERE-250 VOLT (UL/CSA), 14/3 AWG, SJTO, 105�C, 105�C, 0.9 METERS (3 FEET) (36") LONG. BLACK. IEC 60320 C-14, C-13 POWER CORD, 15 AMPERE-250 VOLT (UL/CSA), 14/3 AWG, SJTO, 105�C, 1.2 METERS (4 FEET) (48") LONG. BLACK. IEC 60320 C-14, C-13 POWER CORD, 15 AMPERE-250 VOLT (UL/CSA), 14/3 AWG, SJTO, 105�C, 1.5 METERS (5 FEET) (60") LONG. BLACK. IEC 60320 C-14, C-13 POWER CORD, 15 AMPERE-250 VOLT (UL/CSA), 14/3 AWG, SJTO, 105�C, 1.8 METERS (6 FEET) (72") LONG. BLACK. IEC 60320 C-14, C-13 POWER CORD, 15 AMPERE-250 VOLT (UL/CSA), 14/3 AWG, SJTO, 105�C, 2.0 METERS (6FT.-7IN.) (79") LONG. BLACK. IEC 60320 C-14, C-13 POWER CORD, 15 AMPERE-250 VOLT (UL/CSA), 14/3 AWG, SJTO, 105�C, 2.1 METERS (7 FEET) (84") LONG. BLACK. IEC 60320 C-14, C-13 POWER CORD, 15 AMPERE-250 VOLT (UL/CSA), 14/3 AWG, SJTO, 105�C, 2.44 METERS (8 FEET) (96") LONG. BLACK. IEC 60320 C-14, C-13 POWER CORD, 15 AMPERE-250 VOLT (UL/CSA), 14/3 AWG, SJTO, 105�C, 2.74 METERS (9 FEET) (108") LONG. BLACK. IEC 60320 C-14, C-13 POWER CORD, 15 AMPERE-250 VOLT (UL/CSA), 14/3 AWG, SJTO, 105�C, 3.05 METERS (10 FEET) (120") LONG. BLACK. IEC 60320 C-14, C-13 POWER CORD, 15 AMPERE-250 VOLT (UL/CSA), 14/3 AWG, SJTO, 105�C, 3.66 METERS (12 FEET) (144") LONG. BLACK. IEC 60320 C-14, C-13 POWER CORD, 15 AMPERE-250 VOLT (UL/CSA), 14/3 AWG, SJTO, 105�C, 4.6 METERS (15 FEET) (180") LONG. BLACK. IEC 60320 C-14, C-13 POWER CORD, 15 AMPERE-250 VOLT (UL/CSA), 14/3 AWG, SJTO, 105�C, 6.1 METERS (20 FEET) (240") LONG. BLACK. IEC 60320 C-13, POWER SUPPLY CORD, 15 AMPERE-250 VOLT (UL/CSA), 14/3 AWG, SJTO, 105�C, 1.0 METERS (3FT.-3IN.) (39") LONG. BLACK. IEC 60320 C-13, POWER SUPPLY CORD, 15 AMPERE-250 VOLT (UL/CSA), 14/3 AWG, SJTO, 105�C, 2.0 METERS (6FT.-7IN.) (79") LONG. BLACK. IEC 60320 C-14, POWER SUPPLY CORD, 15 AMPERE-250 VOLT (UL/CSA), 14/3 AWG, SJTO, 105�C, 1.0 METERS (3FT.-3IN.) (39") LONG. BLACK. IEC 60320 C-14, POWER SUPPLY CORD, 15 AMPERE-250 VOLT (UL/CSA), 14/3 AWG, SJTO, 105�C, 2.0 METERS (6FT.-7IN.) (79") LONG. BLACK. UNIVERSAL (UL,CSA,VDE,CCC) APPROVALS) 10A-250V IEC 60320 C-14, C-13 POWER CORD, 17/3 AWG, SJTO, 105�C, 0.3 METERS (1 FOOT) (12") LONG. BLACK. 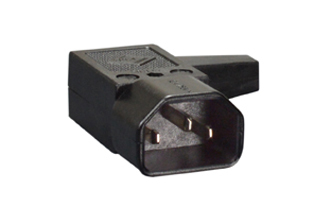 UNIVERSAL (UL,CSA,VDE,CCC) APPROVALS) 10A-250V IEC 60320 C-14, C-13 POWER CORD, 17/3 AWG, SJTO, 105�C, 0.46 METERS (1FT.-6IN.) (18") LONG. BLACK. UNIVERSAL (UL,CSA,VDE,CCC) APPROVALS) 10A-250V IEC 60320 C-14, C-13 POWER CORD, 17/3 AWG, SJTO, 105�C, 0.6 METERS (2 FEET) (24") LONG. BLACK. UNIVERSAL (UL,CSA,VDE,CCC APPROVALS) 10A-250V IEC 60320 C-14, C-13 POWER CORD, 17/3 AWG, SJTO, 105�C, 0.76 METERS (2FT.-6IN.) (30") LONG. BLACK. UNIVERSAL (UL,CSA,VDE,CCC) APPROVALS) 10A-250V IEC 60320 C-14, C-13 POWER CORD, 17/3 AWG, SJTO, 105�C, 0.9 METERS (3 FEET) (36") LONG. BLACK. UNIVERSAL (UL,CSA,VDE,CCC) APPROVALS) 10A-250V IEC 60320 C-14, C-13 POWER CORD, 17/3 AWG, SJTO, 105�C, 1.2 METERS (4 FEET) (48") LONG. BLACK. UNIVERSAL (UL,CSA,VDE,CCC) APPROVALS ) 10A-250V IEC 60320 C-14, C-13 POWER CORD, 17/3 AWG, SJTO, 105�C, 1.5 METERS (5 FEET) (60") LONG. BLACK. UNIVERSAL (UL,CSA,VDE,CCC) APPROVALS) 10A-250V IEC 60320 C-14, C-13 POWER CORD, 17/3 AWG, SJTO, 105�C, 1.8 METERS (6 FEET) (72") LONG. BLACK. UNIVERSAL (UL,CSA,VDE,CCC) APPROVALS) 10A-250V IEC 60320, C-14, C-13 POWER CORD, 17/3 AWG, SJTO, 105�C, 2.0 METERS (6FT.-7IN.) (79") LONG. BLACK. UNIVERSAL (UL,CSA,VDE,CCC) APPROVALS) 10A-250V IEC 60320 C-14, C-13 POWER CORD, 17/3 AWG, SJTO, 105�C, 2.1 METERS (7 FEET) (84") LONG. BLACK. UNIVERSAL (UL,CSA,VDE,CCC) APPROVALS ) 10A-250V IEC 60320 C-14, C-13 POWER CORD, 17/3 AWG, SJTO, 105�C, 2.44 METERS (8 FEET) (96") LONG. BLACK. UNIVERSAL (UL,CSA,VDE,CCC) APPROVALS) 10A-250V IEC 60320 C-14, C-13 POWER CORD, 17/3 AWG, SJTO, 105�C, 2.74 METERS (9 FEET) (108") LONG. BLACK. UNIVERSAL (UL,CSA,VDE,CCC) APPROVALS) 10A-250V IEC 60320 C-14, C-13 POWER CORD, 17/3 AWG, SJTO, 105�C, 3.05 METERS (10 FEET) (120") LONG. BLACK. UNIVERSAL (UL,CSA,VDE,CCC) APPROVALS ) 10A-250V IEC 60320 C-14, C-13 POWER CORD, 17/3 AWG, SJTO, 105�C, 3.66 METERS (12 FEET) (144")LONG. BLACK. UNIVERSAL (UL,CSA,VDE,CCC) APPROVALS) 10A-250V IEC 60320 C-14, C-13 POWER CORD, 17/3 AWG, SJTO, 105�C, 4.6 METERS (15 FEET) (180") LONG. BLACK. UNIVERSAL (UL,CSA,VDE,CCC) APPROVALS) 10A-250V IEC 60320 C-14, C-13 POWER CORD, 17/3 AWG, SJTO, 105�C, 6.1 METERS (20 FEET) (240") LONG. BLACK. 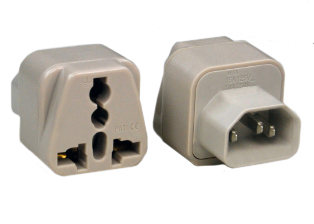 UNIVERSAL (UL, CSA, VDE, OVE, CCC, PSE, ENEC, KTL, NSW APPROVED) 10A-250V, 17/3 AWG, POWER CORD, IEC 60320 C-14 PLUG, C-13 CONNECTOR, 2.5 METERS (8FT.-2IN.) (98") LONG. BLACK. 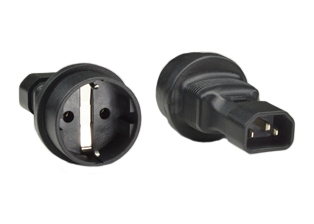 UNIVERSAL (UL, CSA, VDE APPROVALS) 10A-250V, 17/3 AWG, IEC 60320 C-14, C-13 POWER CORD, 1.0 METERS (3FT.-3IN.) (39") LONG. BLACK. UNIVERSAL (UL, CSA, VDE, CCC) 10A-250V, IEC 60320 C-14 POWER CORD, STRIPPED ENDS, 17/3 AWG, SJTO, 105�C, 1.0 METERS (3FT.-3IN.) (39") LONG. BLACK. UNIVERSAL (UL, CSA, VDE, CCC) 10A-250V, IEC 60320 C-14 POWER CORD, STRIPPED ENDS, 17/3 AWG, SJTO, 105�C, 2.0 METERS (6FT.-7IN.) (79") LONG. BLACK. UNIVERSAL (UL, CSA, VDE, CCC) 10A-250V, IEC 60320 C-14 POWER CORD, STRIPPED ENDS, 17/3 AWG, SJTO, 105�C, 3.05 METERS (10 FEET) (120") LONG. BLACK. UNIVERSAL (UL, CSA, VDE, CCC) 10A-250V, IEC 60320 C-14 POWER CORD, STRIPPED ENDS, 18/3 AWG, SJTO, 105�C, 3.66 METERS (12 FEET) (144") LONG. BLACK. UNIVERSAL 10A-250V, IEC 60320 C-14 POWER CORD, STRIPPED ENDS, 18/3 AWG, SJTO, 105�C, 5.0 METERS (16FT.-5IN.) (197") LONG. BLACK. UNIVERSAL (UL, CSA, VDE, CCC)) 10A-250V, IEC 60320 C-13 POWER CORD, STRIPPED ENDS, 17/3 AWG, SJTO, 105�C, 1.0 METERS (3FT.-3IN.) (39") LONG. BLACK. UNIVERSAL (UL, CSA, VDE, CCC) 10A-250V, IEC 60320 C-13 POWER CORD, STRIPPED ENDS, 17/3 AWG, SJTO, 105�C, 2.0 METERS (6FT.-7IN.) (79") LONG. BLACK. UNIVERSAL (UL, CSA, VDE, CCC) 10A-250V, IEC 60320 C-13 POWER CORD, STRIPPED ENDS, 17/3 AWG, SJTO, 105�C, 3.05 METERS (10 FEET) (120") LONG. BLACK. UNIVERSAL (UL, CSA, VDE, CCC) 10A-250V, IEC 60320 C-13 POWER CORD, STRIPPED ENDS, 18/3 AWG, SJTO, 105�C, 3.66 METERS (12 FEET) (144") LONG. BLACK. UNIVERSAL (UL, CSA, VDE, CCC) 10A-250V, IEC 60320 C-13 POWER CORD, STRIPPED ENDS, 18/3 AWG, SJTO, 105�C, 5.0 METERS (16FT.-5IN.) (197") LONG. BLACK. IEC 60320 C-14, C-5 ADAPTER CORD 2.5 AMPERE -250 VOLT, 4.87 METERS (16 FEET) (192") LONG. BLACK. 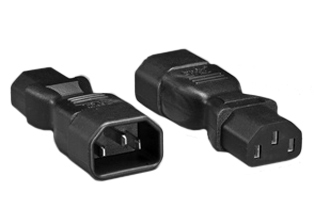 MATES C-13 CONNECTORS/OUTLETS TO C-6 INLETS. 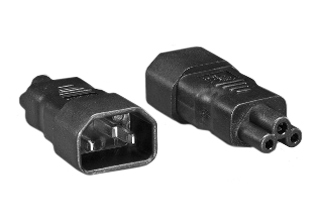 IEC 60320 C-18, C-7 ADAPTER CORD, 2.5A-250V, 2.0 METERS (6FT.-7IN.) (79") LONG. BLACK. Length: 2.0 METERS (6FT.-7IN.) 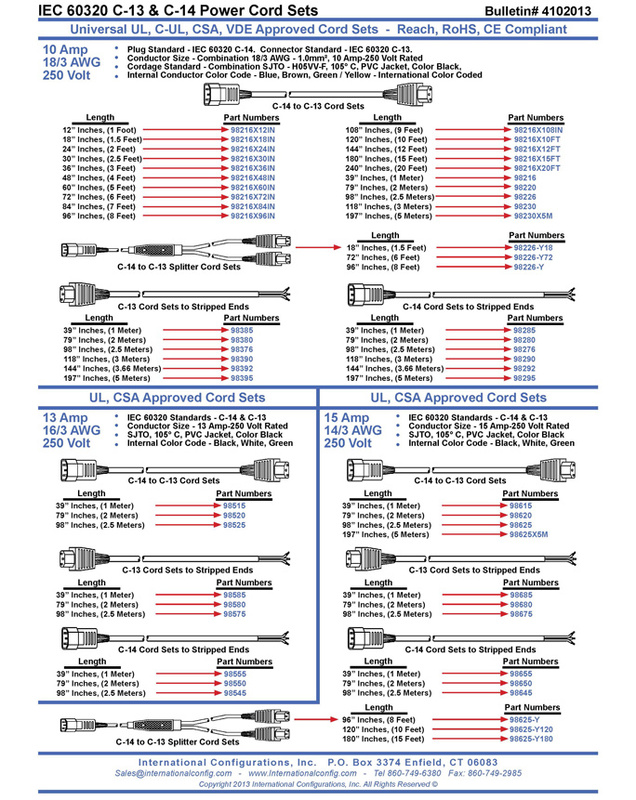 NOTE: C-18 PLUGS MATES IEC 60320 C-13 TYPE CONNECTORS TO IEC 60320 C-8 INLETS. 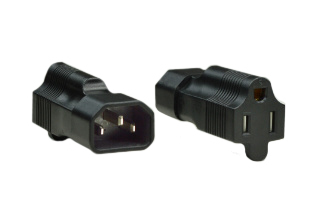 IEC 60320, C-7 REWIREABLE CONNECTOR, 2.5A-250V, IMPACT RESISTANT NYLON, MOISTURE/DUST SHIELD, CLAMP TYPE SCREW TERMINALS ACCEPT 10/3, 12/3, 14/3, 16/3, 18/3 AWG CONDUCTORS, CORD GRIP RANGE .300"-.655" DIA. CORD. BLACK. IEC 60320 C-14, C-13 POWER CORD, 10 AMPERE-250 VOLT, VDE EUROPEAN H05VV-F 1.0MM CABLE, 2.0 METERS (6FT.-7IN.) (79") LONG. BLACK. IEC 60320 C-14, C-13 RIGHT ANGLE POWER CORD, 10 AMPERE-250 VOLT, VDE EUROPEAN H05VV-F 1.0MM CABLE, 2.0 METERS (6FT.-7IN.) (79") LONG. BLACK. IEC 60320 C-14, C-13 LEFT ANGLE POWER CORD, 10 AMPERE-250 VOLT, VDE EUROPEAN H05VV-F 1.0MM CABLE, 2.0 METERS (6FT.-7IN.) (79") LONG. BLACK. IEC 60320 C-14 POWER SUPPLY CORD, 10 AMPERE-250 VOLT, VDE EUROPEAN H05VV-F 1.0MM CABLE, STRIPPED ENDS, 2.5 METERS (8FT.-2IN.) (98") LONG. BLACK. 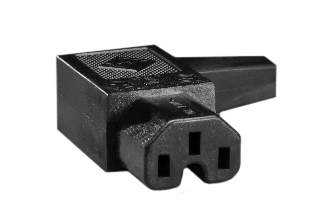 "UNIVERSAL" POWER CORD, IEC 60320 C-20 PLUG, C-19 CONNECTOR, 15A-250V (UL/C-UL), 16A 250V (VDE), 1.8 METERS (6 FEET) (72") LONG. BLACK. "UNIVERSAL" POWER SUPPLY CORD, IEC60320 C-19 CONN., 15A-250V (UL/C-UL), 16A 250V (VDE), BLACK, 1.0 METERS (3FT.-3IN.) (39"), ROJ=2 IN. STRIP=1/4 IN. "UNIVERSAL" POWER SUPPLY CORD, IEC60320 C-19 CONN., 15A-250V (UL/C-UL), 16A 250V (VDE), BLACK, 2.0 METERS (6FT.-7IN.) (79"), ROJ=2 IN. STRIP=1/4 IN. 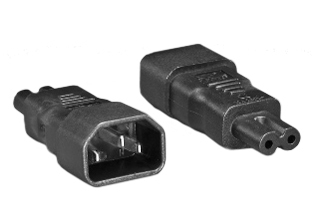 "UNIVERSAL" POWER SUPPLY CORD, IEC60320 C-19 CONNECTOR, 15A-250V (UL/C-UL), 16A 250V (VDE), BLACK, 3.05 METERS (10 FEET) (120"), ROJ=2 IN. STRIP=1/4 IN. IEC 60320 C-20, C-19, POWER CORD, 20A-250V, 12/3 AWG, SJTOW, 1.2 METERS (4 FEET) (48") LONG. BLACK. IEC 60320 C-20, C-19, POWER CORD, 20A-250V, 12/3 AWG, SJTO, 3.66 METERS (12 FEET) (144") LONG. BLACK. IEC 60320 RIGHT ANGLE C-19, 20A-250V POWER SUPPLY CORD, 12/3 AWG, SJTO, 2.5 METERS (8FT.-2IN.) (98") LONG. STRIPPED ENDS. BLACK. IEC 60320 LEFT ANGLE C-19, 20A-250V POWER SUPPLY CORD, 12/3 AWG, SJTO, 2.5 METERS (8FT.-2IN.) (98") LONG. STRIPPED ENDS. BLACK. 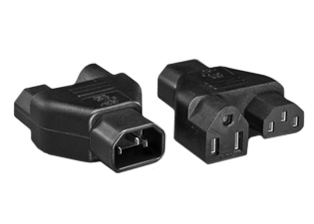 PLUG ADAPTER, DETACHABLE POWER CORD, 15A-250V, IEC 60320 C-14 PLUG, IEC 60320 C-19 CONNECTOR, 14/3 AWG SJT 105�C, 0.46 METERS (1FT.-6IN.) (18") LONG. BLACK. 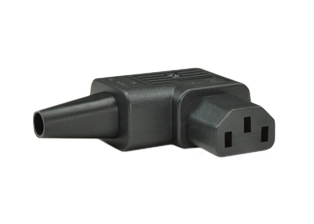 PLUG ADAPTER, DETACHABLE POWER CORD, 15A-250V, IEC 60320 C-14 PLUG, IEC 60320 C-19 CONNECTOR, 14/3 AWG SJT 105�C, 0.6 METERS (2 FEET) (24") LONG. BLACK. 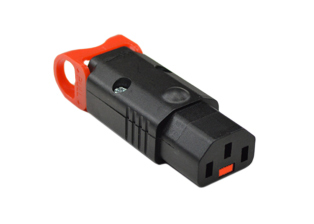 PLUG ADAPTER, DETACHABLE POWER CORD, 15A-250V, IEC 60320 C-14 PLUG, IEC 60320 C-19 CONNECTOR, 14/3 AWG SJT 105�C, 0.9 METERS (3 FEET) (36") LONG. BLACK. 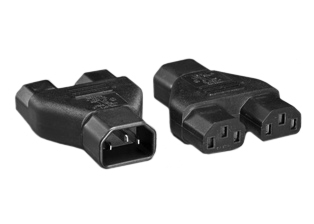 PLUG ADAPTER, DETACHABLE POWER CORD, 15A-250V, IEC 60320 C-14 PLUG, IEC 60320 C-19 CONNECTOR, 14/3 AWG SJT 105�C, 1.2 METERS (4 FEET) (48") LONG. BLACK. PLUG ADAPTER, DETACHABLE POWER CORD, 15A-250V, IEC 60320 C-14 PLUG, IEC 60320 C-19 CONNECTOR, 14/3 AWG SJT 105�C, 1.5 METERS (5 FEET) (60") LONG. BLACK. 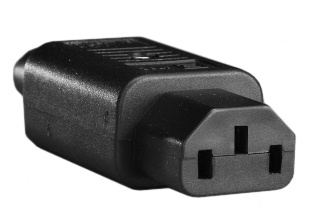 PLUG ADAPTER, DETACHABLE POWER CORD, 15A-250V, IEC 60320 C-14 PLUG, IEC 60320 C-19 CONNECTOR, 14/3 AWG SJT 105�C, 1.8 METERS (6 FEET) (72") LONG. BLACK. 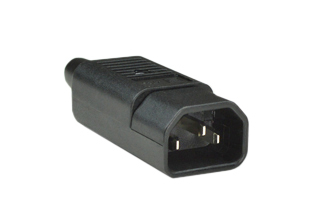 PLUG ADAPTER, DETACHABLE POWER CORD, 15A-250V, IEC 60320 C-14 PLUG, IEC 60320 C-19 CONNECTOR, 14/3 AWG SJTO 105�C, 2.44 METERS (8 FEET) (96") LONG. BLACK.